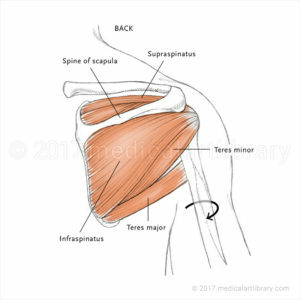 This diagram illustrates the interior of the right shoulder joint capsule as viewed from the side. 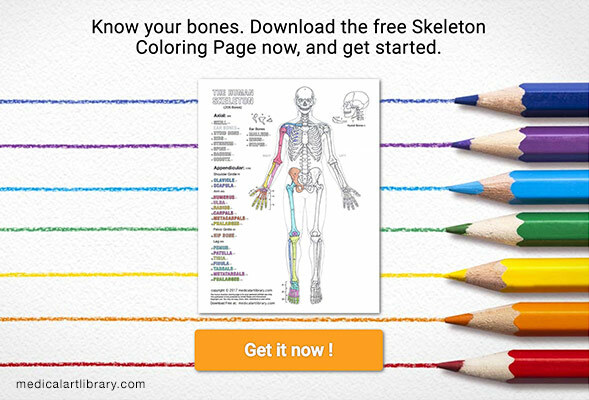 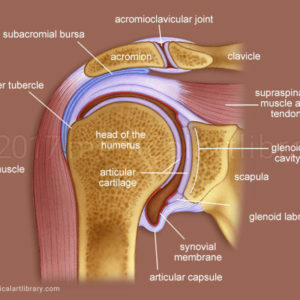 The humerus, or upper arm bone, has been removed to show the glenoid cavity of the scapula. 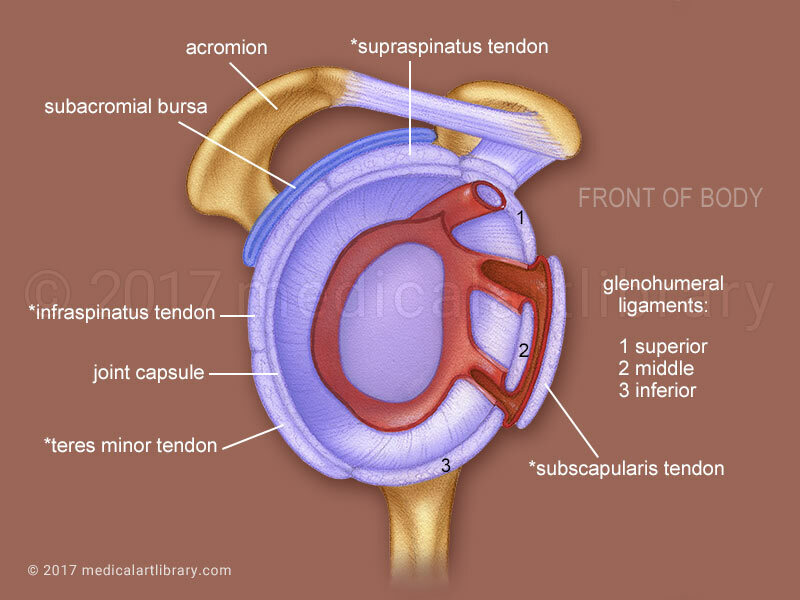 The glenohumeral ligaments are anterior thickenings of the articular capsule. 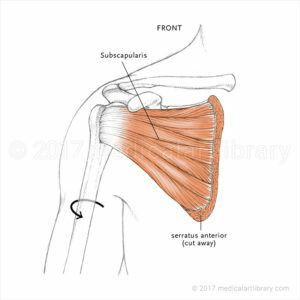 The subacromial bursa lies beneath the acromion on the upper surface of the joint capsule.